An accountancy firm which is headquartered in Bradford city centre has opened an office on Park Row in Leeds to support its continued growth across the region. Naylor Wintersgill, the largest independent firm of chartered accountants in Bradford city centre, has secured an office at One Park Row within the UK’s largest centre for financial and business services outside of London. 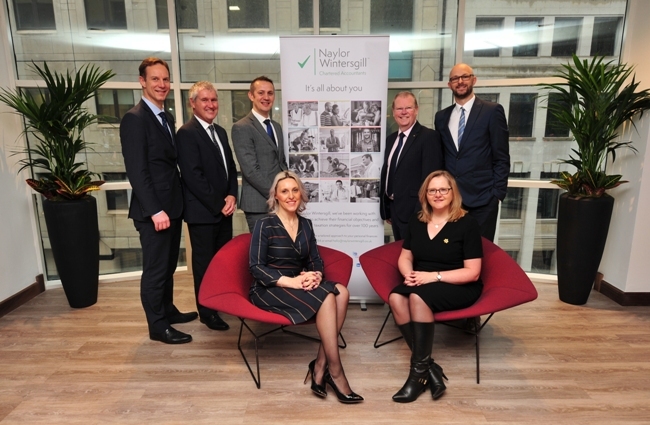 Lead by eight directors and with more than 50 employees, Naylor Wintersgill, which has been established for over 100 years, operates from its Carlton House office on Grammar School Street in Bradford. The second office in Leeds is planned as an additional base for its team and will offer increased flexibility for clients. Victoria Wainwright, managing director who joined as the firm’s first apprentice in 1991 and has seen the team more than treble in employees, said: “Opening a second city centre office is all part of the Naylor Wintersgill evolution and complements our wider business strategy. We’re incredibly proud of our Bradford roots and our core team and our headquarters will remain at Carlton House. Earlier this year, the firm announced its team-selected charity of the year as mental health organisation, Mind in Bradford. Alongside fundraising efforts for the charity, the team has also committed to giving 200 volunteer hours to remote reading scheme TutorMate UK to help young students in Bradford improve their literacy outcomes.